The Institute of Communication and Computer Systems (ICCS) is associated with the School of Electrical and Computer Engineering (SECE) of the National Technical University of Athens (NTUA). ICCS employs more than 500 researchers including faculty staff, senior research scientists and PhD students performing research in the field of telecommunications systems and computer systems. 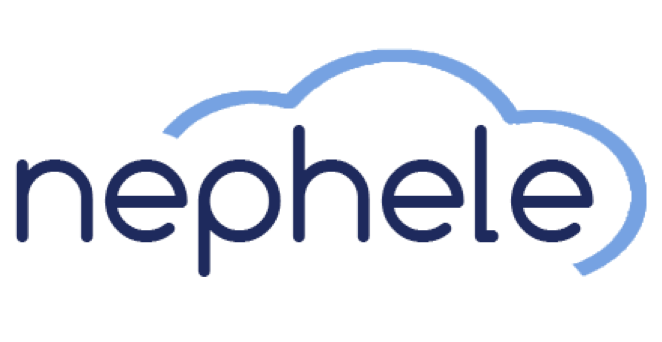 ICCS/NTUA participates in NEPHELE with the Photonics Communications Research Laboratory (PCRL). Founded in 1995, PCRL is led by Prof. Hercules Avramopoulos and currently numbers 7 Senior Researchers and 11 PhD students. Its research activities span within the following thematic areas: a) design and testing of integrated photonic components on various integration platforms; b) design and implementation of photonic devices and subsystems for optical communication systems and datacom applications, including innovative solutions for high-capacity, flexible optical transmission networks, all-optical signal processing systems/subsystems, multi-wavelength sources for wavelength division multiplexing systems and novel optical network architectures for datacentres; c) development and FPGA implementation of digital signal processing algorithms for datacom and telecom optical communication systems, including modulation/demodulation of bandwidth-efficient formats, dynamic transceiver functionality for flexible optical networks, transmission impairment monitoring/mitigation, and advanced equalization techniques; d) design and implementation of photonic devices and subsystems for biophotonic sensing applications including food and drug analysis. PCRL runs a fully equipped laboratory with state-of-the-art test and measurement systems and a broad range of passive and active photonic devices. The group has worldwide links and collaborations with top research institutes and industrial research organizations and its activities are supported by industrial grants as well as national and EU funded research programs. Seagate Systems UK (formally Xyratex) is a leading provider of data storage technology, including modular solutions for the enterprise data storage industry and hard disk drive (HDD) capital equipment for the HDD industry. Seagate Systems UK data storage platforms provide a range of advanced, scalable data storage solutions for the Original Equipment Manufacturer and High Performance Computing communities. Seagate Systems UK has over 25 years of experience in research and development relating to disk drives, storage systems and manufacturing process technology. The company designs and manufactures enabling technology that provides OEM with data storage products to support high-performance storage and data communication networks. This includes high-capacity, high-speed, reliable and flexible data storage subsystems to support a range of communication technologies and performance specifications. Seagate Systems UK has led an extensive optical research and development programme over the past 12 years to address the challenges associated with embedded optical interconnect technology with a view to integration into future high bandwidth, high density data storage systems. Through this the company has established a strong reputation as an innovator in optical interconnect for data centres and see optical switching as a key future technology. The GWDG mbH (Gesellschaft für wissenschaftliche Datenverbeitung mbH Göttingen) is a joint enterprise of the University of Göttingen and the Max Planck Society. It is both the IT centre for the University and a computing and IT competence centre for the Max Planck Society. GWDG provides a broad selection of services for scientists, projects, and institutes. Founded in 1970, it employs more than 110 staff members: scientists, IT-specialists, and technicians. The GWDG runs many services for different scientific communities including (High Performance Computing) HPC clusters, compute and storage cloud facilities, data services including large-scale storage, archiving, and long‐term research data maintenance. Serving as a competence centre, the GWDG advises and supports institutes in facing challenges concerning scientific data processing and emerging big data analysis. Furthermore, the GWDG pursues scientific research for eScience infrastructures, which includes topics in software defined networking, parallel computing, grids, clouds, Internet of Services, and large-scale, and long‐term data management. Nextworks s.r.l., located in Pisa, Italy, is a dynamic R&D SME that was created in 2002 as a spin-off company of the Computer Science and Telecommunications Division of the Consorzio Pisa Ricerche (CPR–DITEL). Nextworks was created by a group of engineers and computer scientists who gained high experience in National and International research projects and industrial consultancies since 1995. Nextworks operates in the TLC sectors, collaborating with some of the major European manufacturers and operators. The company’s team boasts long-term experience and proved skills in the frameworks of Control Plane technologies for wired and wireless transport networks, design and development of complex software on both traditional and embedded platforms and in Quality of Service (QoS) in packet networks, IP telephony, digital video encoding and streaming. The consulting activities carried out by Nextworks range from pure support consulting on one end, up to long-term, third-party software design & developments for equipment vendors on the other end. The specific nature and technical position of these activities require a leading-edge, up-to-date know-how and technical expertise. In order to fulfil this requirement, Nextworks participates actively in EU-funded research projects, cooperating with both academic and industrial partners, as an important and preferential investment to develop and update know-how on selected topics. Nextworks has a solid background on design, development and integration of full networking protocol stacks, ranging from the industrial (carrier-grade) to the pure R&D application area: this includes ASON/GMPLS and IETF PCE Control Plane for SDH, WDM and GbE devices. In addition Nextworks research team features high expertise and know-how in design and implementation of SDN architectures and resource orchestration frameworks for integrated abstraction, virtualization, control and provisioning of heterogeneous optical transport and data centre network technologies. Finally, Nextworks is also working on service orchestration and cloud control solutions for Network Function Virtualization and dynamic delivery of virtualized mobile network infrastructures integrated with end-to-end applications. University of Patras (UPAT) was founded in the city of Patras, Greece in 1964 and began functioning in the academic year 1966-67. UPAT is the third largest University in Greece concerning the size of students potential, the faculty members, administrative personnel, number of departments, and accredited student titles. UPAT has a reputation for quality and innovative research and presents an effective participation in a plethora of research projects, scientific organizations, and research groups. Communication Networks Laboratory (CNL) of the Computer Engineering and Informatics Department, at the University of Patras, is developing solutions to some of the most challenging problems in networking and optical communications. The group has strong cooperation with other research centers, universities, industrial partners and important scientists worldwide. CNL has 1 faculty member, 4 Post-Doctoral researchers and over 8 students pursuing their PhD. CNL’s research activities are in the areas of protocols and algorithms for high-speed networks, high-performance switch architectures, parallel and distributed computing, grid computing, communication aspects of distributed computation, interconnection networks, and wireless ad-hoc networks. CNL’s members participate in several National and European projects in the areas of optical networks (FP7 Idealist, FP7 Phoxtrot, FP7 Diconet, FP6 IP Phosphorus, FP7 NOE Bone, FP6 NOE e-Photon, IST-MUFINS), grid/cloud computing (FP7 Orbit, EGEE-I, EGEE-II, EGEE-III, EGI-InSPIRE, EMI) and energy (FP7 Vimsen, GEN6). Interoute SpA is the Italian branch of Interoute. Interoute is the only next generation network covering the majority of the European Union with transatlantic capacity linked to North America’s major telecoms hub (refer to http://www.interoute.com/network_map). The Company is key to Europe’s Digital Supply Chain, serving more than 14,000 customers and supporting €1 billion of eCommerce transactions daily through its data centres alone. The network footprint covers 47,000 kilometres with backbone/long-haul connectivity to 78 cities and metropolitan area networks (MANs) in 20 of those cities. The managed hosting assets comprise over 100,000 m2 of hosting space ranging from carrier specification up to world class Data Centre grade. With over 190 points of presence (PoPs), Interoute has both the extensive reach and the depth to meet customer requirements at minimal cost. The combined assets represent a total investment in excess of €2.5 billion. In their continuous upgrade of service portfolio, Interoute has built the Europe’s largest cloud services platform, integrating the traditional high capacity international data transit and internet services (at L2 and L3) with the newest cloud-based platforms and control mechanisms for voice, video, computing and data services. The Unified ICT product is serving international enterprises, as well as the European, North America, East & South Asian telecommunications operators. Interoute provides unparalleled end-to-end connectivity to every other major European incumbent, to major mobile operators such as Vodafone, H3G and Orange, and to leading American and Asian players such as ATT, VSNL and NTT. Interoute also provides voice and data services directly to Government and large enterprise customers.